Metal frame ceilings are popular where a seamless, non-load bearing suspended ceiling is required. Constructed using lightweight materials, metal frame ceilings can be installed in a large range of different styled residential buildings, from apartments to large country houses. A metal frame ceiling provides not just an aesthetically pleasing finish. Using dry-lining techniques or a variety of finishing boards, high levels of sound insulation can be included as well as maximum fire resistance compliant with all UK and EU fire regulations. The versatility and design flexibility of metal frame ceilings means they can be constructed to integrate with gradients and bulkheads, while providing one single flat ceiling, a ceiling of varying heights, or curved ceilings. With inspection and access points included during construction, wiring and pipe-work are effortlessly run in the ceiling void and lighting easily installed to suit client requirements. These ceilings can be designed to blend seamlessly with any room or building configuration. 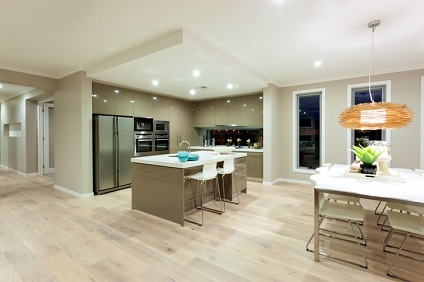 Easily suspended from timber or concrete floors the product can be finished in a variety of ways.